Brian White. 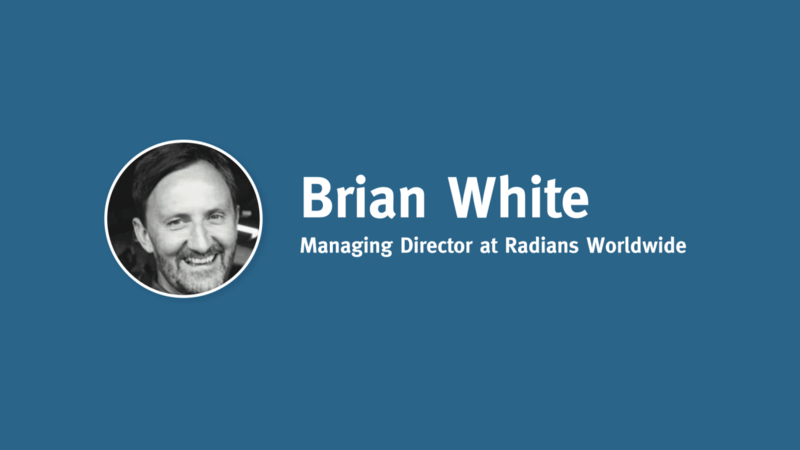 I’ve worked as Managing Director at Radians Worldwide since April 2017. 2. Career progression – can you describe your career journey? How did you get to where you are now? I began my PPE career with Gore-Tex within the fabrics division. It was a fantastic place to develop my knowledge while gaining a wide understanding of the International PPE market. In 2001, I joined Sioen Industries, before moving to Kwintet Group as Director of International Business in 2009 and subsequently joining VF Imagewear workwear brands as International Managing Director in 2013. My career and international experience have now lead me to Radians Worldwide, which is a perfect fit for me with the people and the culture. I now look forward to developing our strategy and ambition to grow and develop Radians’ presence in the global safety market. 3. Could you call any one thing a motivational force in your work, or is it a combination of factors? What is it/are they? I have a passion for international business. I enjoy building a long-term network by connecting to other like-minded professionals. My aim is to constantly create and expand new and exciting business opportunities together with my network and colleagues by exploring trends, needs and synergies within the retail and industrial markets. 4. Can you cite a project you are particularly proud of, and give the reasons you were pleased with it? I’m particularly proud of a complex project that was recently completed for a large Radians Worldwide retailer. The completion of this project to the satisfaction of the retailer and the Radians executive team gave me great pleasure, especially because I had only been with Radians for a few months. The successful execution and implementation of this project proved to me that Radians Worldwide has a great team with ambition and determination who are prepared to go the extra mile to please their customers. 5. What makes Radians stand out from its competitors? Radians Worldwide differentiates itself by providing best-in-class customer service and product satisfaction. In other words, we focus on service innovations just as much as we do product innovations. We aspire to make meaningful customer connections that make a retailer’s or a safety professional’s job easier or better. 6. What would you say is pivotal to Radians’ safety success record? Radians, which is an ISO 9001:2008 certified leader in the PPE market, has a laser-like focus on product quality, regulatory standards, and testing. Additionally, our safety products are also manufactured in ISO-certified facilities. 7. How does Radians plan to continue its success into the future? Radians plans to continue its success via a five-pronged approach: make the best safety products; provide the best customer service; hire the best people; offer policies and value-added programmes that please customers; and increase the market share of our customers through mutually beneficial long-term relationships. 8. Is there any particular aspect of your work you enjoy above others? I’m a people person and my role allows me to meet people from different cultures all over the world. I love the way business changes from country to country. 9. What personal characteristics do you bring to your job that you think helps makes you good at what you do? I am passionate about what I do. Passion is a powerful force in accomplishing anything you set your mind to in experiencing work and life to the fullest extent possible. 10. What do you most like to do to wind down? Outside of work, it's all about my family and spending as much quality time with my wife, Michelle, and my son, Noah, who make sacrifices everyday so I can be the best I can at work.